When people think of weddings in Africa, Dar es Salaam doesn’t usually come to mind, but a wedding in Tanzania doesn’t have to mean Zanzibar. British couple G & T chose White Sands Resort in Dar es Salaam to tie the knot with their closest family and friends and also managed to dodge the rain. I love a good love story, and this one is most definitely of the epic kind. 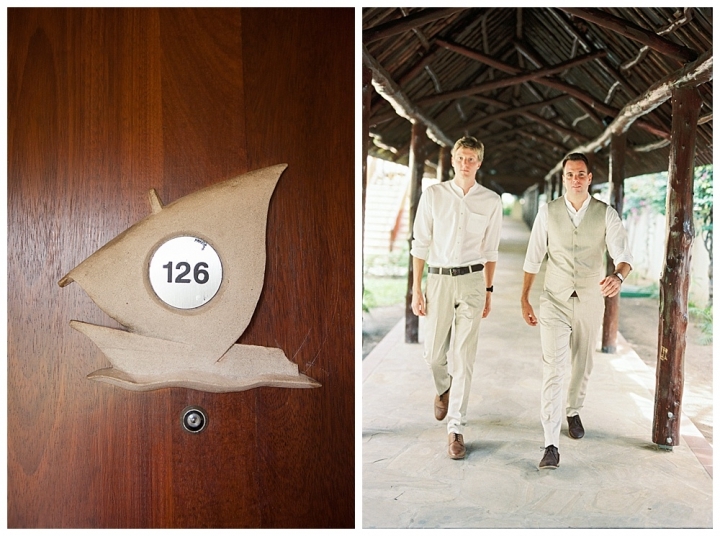 G & T’s families had known each other for years before they decided to have their wedding in Tanzania. Having pretty much grown up with ties to each other through playing together during the summer when G and her sister would visit their Grandmother, life wouldn’t have them actually meet again until years later. All those years though, their family members had kept in contact and that’s when they came to get to know each other again. T was working in Africa and G was studying in the UK but like any good romance, it happens before anyone knows it’s happening. Before long, G had joined T in Freetown and that’s when all hell broke lose. In the midst of the Ebola outbreak in Sierra Leone, friendship turned into love. Freetown is small but big things tend to happen. In 2014, the most widespread Ebola virus outbreak occurred in West Africa and hit Sierra Leone, Guinea and Libera. T had been stationed in Freetown as a Football Coach and had been talking with G again for some time long distance before she decided to come and join him to teach First Aid. She did so just as the outbreak hit, and just like the Dustin Hoffman movie of the same name, the outbreak hit hard. G worked tirelessly as a medic at the camp while T tried to keep some normalcy for the kids he was training. Being in such close parameters with a deadly virus would no doubt bond two people together in a way that most of us can’t begin to imagine. And that bond became even stronger when G contracted a particularly virulent strain of Malaria, which hospitalised her for quite some time as she fought to recover. As she did, T was there with her sitting by her bedside and most likely wishing he’d never asked her to join him because it was now a very real possibility that he could lose her. But, like any true epic romance, and any love that’s worth anything, this was thankfully just a test. True love is tested in ways we least expect it and when G finally did come out of the danger zone and the horrible effects of the Malaria, their love for each other had grown stronger. They knew now that if they could survive an outbreak of two deadly diseases then they could survive anything. Since then, they’ve lived in three countries together, survived Malaria and Ebola and they work with kids and animals like the great humanitarians they are. Their life together is like something from an epic romance novel that spans years and continents. It’s meant to be. T had spent some of his youth growing up in Kenya and feels a strong connection to Africa, so it was no surprise when they decided to hold their wedding in Tanzania. T had proposed to G on a 4 x 4 trip back in the UK, but given their history it made sense that Africa was involved. It was, after all, Africa where their love was forged. Family and friends flew in to Dar es Salaam from all over the world to help them declare themselves devoted to each other and those that couldn’t be present physically were able to join in via Skype. On an idyllic white sandy beach at a Resort aptly named Hotel White Sands, the rain held off and the wind died down at the perfect moment. 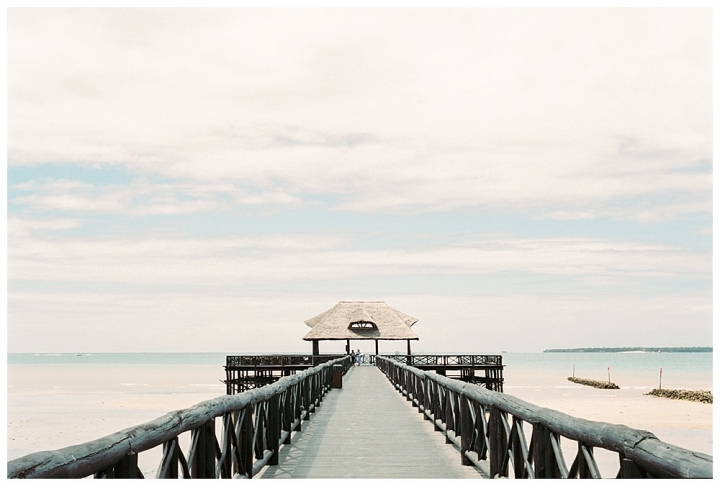 The beautiful wooden pier on the shores of White Sands Resort played the beautiful host for their Ceremony and G and T finally said ” I do” and their fairytale wedding in Tanzania was complete. In the years that they’ve been together, either in friendship or in love, they’ve accomplished so much together, but it’s really only the beginning. Like the first quarter of a book as rich as a Jane Austen classic, mixed with visually descriptive echoes of the grand writings in Out of Africa, G and T’s story still has much more to show us. I’m honoured to be able to help visually narrate part of this story and I look forward to seeing how the next chapter of their romance unfolds.